Redline Transport provides a professional friendly delivery service, 24 hours a day, 7 days a week, 52 weeks of the year, including Christmas Day. 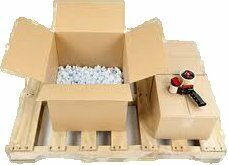 Dedicated solutions to all you delivery needs within UK, Ireland and Europe, making all the necessary arrangements for your delivery / collection. Delivery / collection times to suit your needs. Regular Daily / Weekly collections & deliveries. Pre- Booked jobs: i.e. - collect Friday deliver Monday. Re-route deliveries / collections to suit the customer’s needs. No contracts, so any changes in your delivery requirements can be dealt with immediately. Goods remain in the same vehicle until delivery, no hub system, no damage, and no loss. Specialists in small van to high roof lwb vans - other vehicles available. 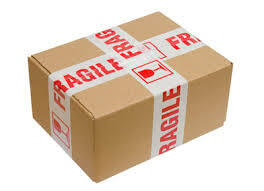 All deliveries are fully trackable. Update you on your delivery if required. Wait at delivery site while an item has to be installed or repaired before returning, and we co-ordinate and monitor the process, keeping the customer informed at all times. We pride ourselves on making the delivery successful whatever problems are presented. The above shows our customer commitment and what we can do for your business.